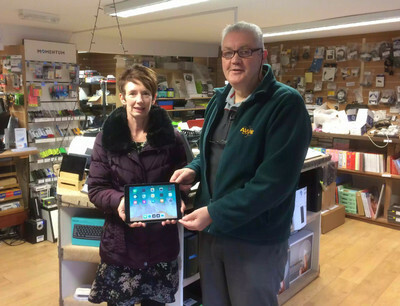 The winner of our last iPad Prize Draw was Hazel Fraser, who can be seen here collecting her prize from Momentum owner Gordon Munro. Our iPad Prize Draws have been very popular, so we are doing it again! Enter our brand new prize draw where you have another chance to win an iPad Mini 2.